We're here to collaborate with you to bring Arts, Culture, and Community to Old Town, Karachi. To provide a space for community engagement, advancement of arts and culture, and democratic and literary discourse in Old Town, we are working to set up the Pakistan Chowk Community Centre. 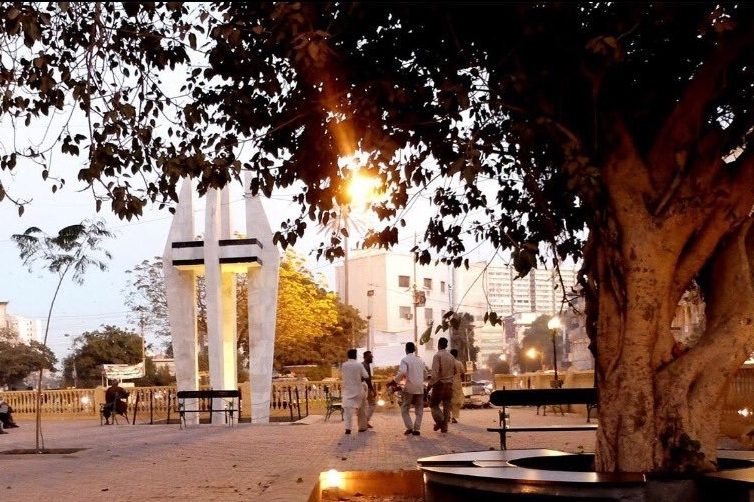 In December 2016, we rehabilitated Pakistan Chowk, a public square in the heart of Old Town, Karachi at Kutchery Road. This has transformed into a place of active community participation with events of storytelling, art fairs and many more. This initiative hopes to create a community space that works towards reviving arts and culture in Old Town. Housed on the first floor of the historic Sultani Mahal Building, located approximately 30 feet away from Pakistan Chowk, the Community Centre aims to provide a space where various forms of art and culture are available to all members of the community; a space that the residents can take ownership of, experiment with and use to boost social cohesion and democratic discourse amidst the community of Old Town.